is located at Benjamin Franklin Parkway and 26th Street in Philadelphia, PA and was completed in 1928. The Art Museum is built in classical Greek style. 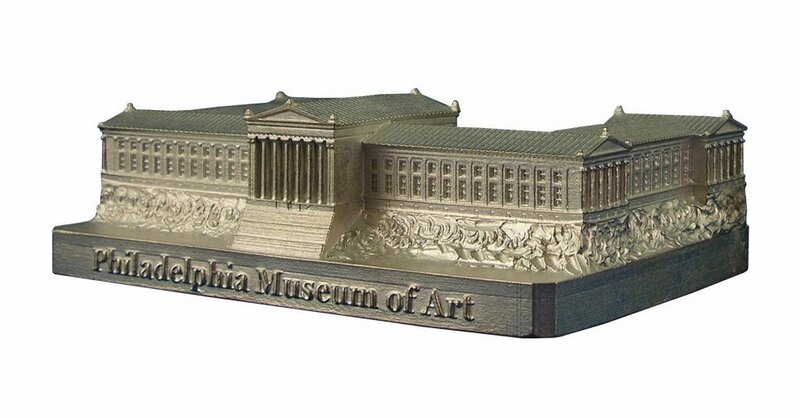 This pewter replica stands 1 - 1/8 inches tall and the base measures 3-3/4”x 2-3/4" and is finished in new pewter.